DorksideToys has opened up preorders for the Vintage Collection Wave 3. You can order them by the case or as individuals. 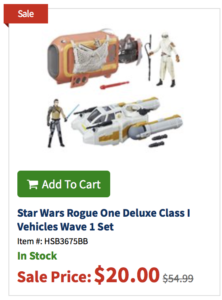 Entertainment Earth is now taking orders for wave 18 of the 6″ Black Series which includes Han (Bespin), Beckett and Rebel Trooper plus carry forward from previous waves. Update: Individual figure preorders are available was well. Sponsor DorksideToys has posted new boxed images via Instagram of the 3 new 6″ Black Series figures from Wave 18. Click on through to check out #68 Tobias Beckett, #69 Rebel Trooper and #70 Han Solo (Bespin). 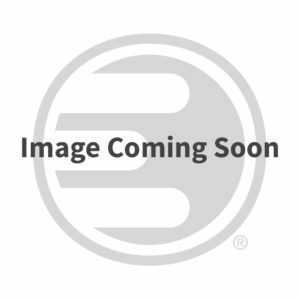 Sponsor Entertainment Earth is currently having a sale on their Funko POP! figures and are offering Buy 4, get 1 FREE. Sale lasts until February 13. 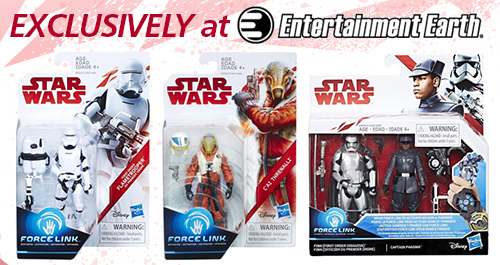 Entertainment Earth has just announced that they will be offering, exclusively, the 3.75″ Force Link Flame Trooper, C’ai Threnalli and the Finn (First Order Disguise) and Captain Phasma 2 pack. Click on through for the details. 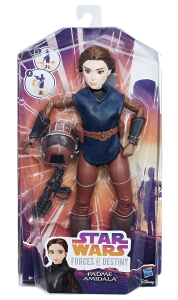 Entertainment Earth is now taking preorders for the Forces of Destiny Padmé Amidala (Naboo Pilot) Adventure Figure. ETA is sometime this month! 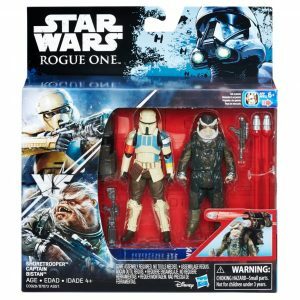 Sponsor Entertainment Earth now has the Rogue One Bistan and Shoretrooper Captain 2 pack in stock. 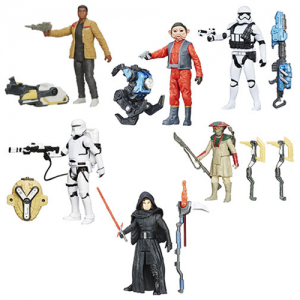 Entertainment Earth has posted updated product imagery for the Snow Desert assortment Wave 5 which includes new image reveals of Nien Nunb, Kylo Ren (Unmasked) and the First Order Stormtrooper Squad Leader. 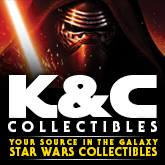 Starting today through midnight Cyber Monday November 30th, 2015 K & C Collectibles is offering 10% discount on all in-stock merchandise. The redemption code is Cyber2015. In addition we are offering FREE shipping for those orders over $50. Your shipping address must be within the continental USA for the free shipping. Click the NEW PRODUCT link for a complete list of recently added items.